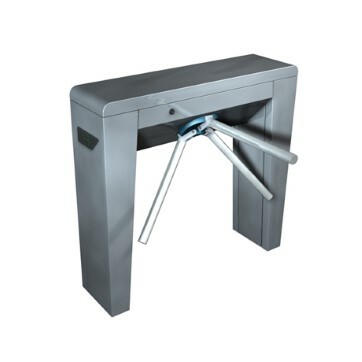 Stainless steel tripod turnstile with a small footprint. 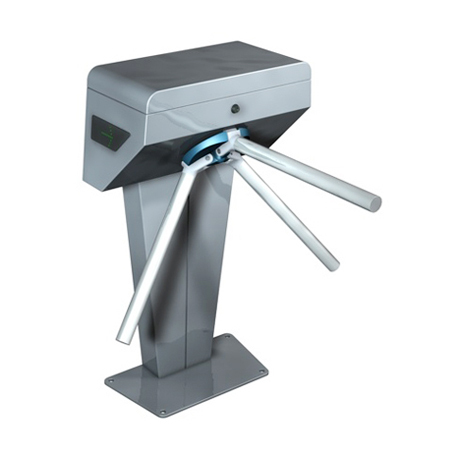 Single and double versions for indoor use and single version for outdoor use (if protected under a canopy). Direction of passage: Positive locking action for one passage at a time. Direction is shown clearly to users with LED indicators. 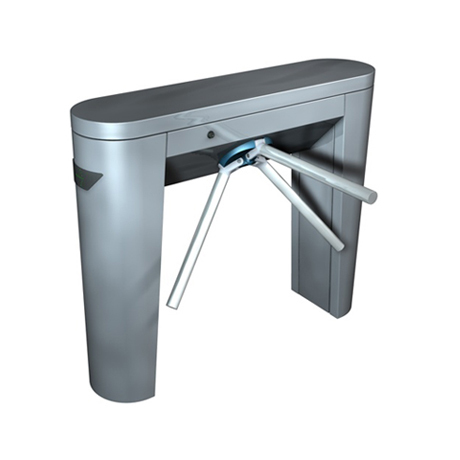 Mechanism: Self-centering mechanism ensures complete rotation into the home position and anti-backup device prevents reverse rotation. 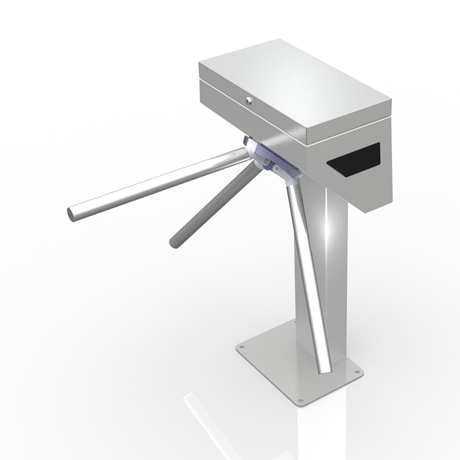 Alarmed version: SlimStile EV ATT is equipped with photocell and IR sensors to prevent unauthorised passage for detection of attempts to jump over the turnstile, climb over the cabinet or crawl under the tripod arms.